» Who Can Experience Hearing Loss? Who Can Experience Hearing Loss? Below are some of the hearing issues that affect different age groups along with the causes of some of the impairments. Regardless of a person’s age and the reason for their hearing loss, 90 percent of people with hearing impairments can benefit from the use of hearing aids. There are nearly 400 congenital syndromes that include hearing loss as a significant feature of the condition. Hearing loss is the most frequent impairment a baby is born with. Some 24 different abnormal genes have been identified that lead to deafness. Ear infections are the most common reason for hearing loss in this age group. While the loss is usually temporary, it can be detrimental to educational success. Permanent hearing loss in early childhood can result from high fevers, illnesses, accidents and trauma. While this group can also suffer hearing loss from illness and trauma, the most common reason is excessive noise exposure – which is completely preventable. Noise sources include personal music devices, earphone use with portable DVD players and computers, guns used in hunting and the operation of all-terrain vehicles. Natural aging of the auditory nerve can lead to subtle communication problems in some adults. As with teens, noise exposure is a large contributor to hearing loss in adults. Adult-onset illnesses such as otosclerosis, acoustic neuroma, hypertension, diabetes and respiratory problems along with some cancer treatments can increase the severity of hearing impairment. People in this age group are the most likely to have a hearing impairment. Natural aging of the auditory nerve as well as a lifetime of noise abuse, illnesses, trauma or medications can all contribute to hearing impairment in older folks. Buying Hearing Aids Online – A Good Idea? Hearing impairment currently affects some 28.6 million people, or 10% of the population. It is the third most common chronic health condition in the United States. More than a million people under the age of 18 have a permanent hearing loss. One out of 3 adults over 65 has some level of hearing loss. Only 14% of physicians routinely screen for hearing loss during a physical examination. Since most people with hearing impairments hear well in quiet environments like a doctor’s office, it can be virtually impossible for a physician to recognize the extent of someone’s hearing problem. 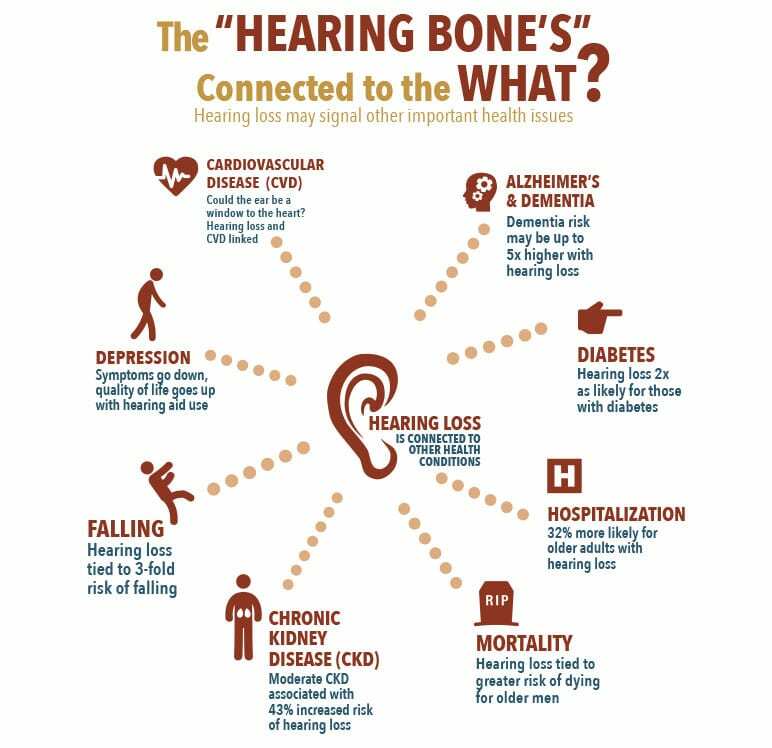 Hearing loss contributes to social isolation, dementia and depression and can have a profoundly negative impact on many aspects of a person’s health. Everyone over the age of 30 should have a baseline hearing test as part of a regular preventative-medicine lifestyle. 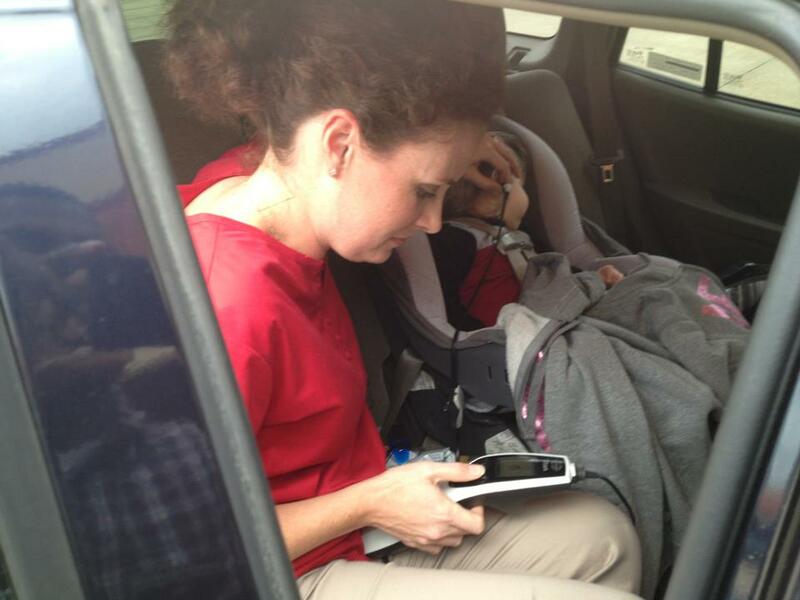 Dr. Boyd going the extra mile to get the results needed. People over 40 years old should have an annual hearing test, whether or not they believe they’re experiencing a hearing loss. Individuals with hearing and balance problems should seek evaluation and treatment from a Doctor of Audiology (Au.D.). Hearing aids are the beginning of successful treatment for hearing loss. Training in their use is needed and follow-up is essential, as retraining is often required to help the brain interpret sounds. Hearing healthcare is constantly improving thanks to new and improved technologies and specialized care provided by Doctors of Audiology.